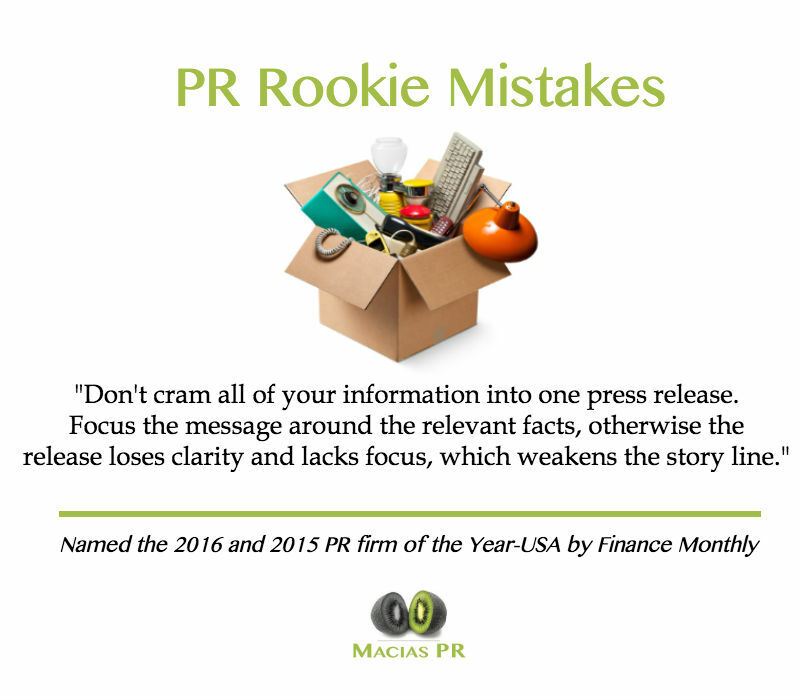 Memorial Day is right around the corner, but MACIAS PR is not in vacation mode. We are still securing media placements for our clients with magazines, newspapers and TV. The week leading up to Memorial Day Weekend is notoriously difficult when it comes to securing media placements. I can say from experience, TV newsrooms are understaffed as reporters, producers and photographers request vacation days to maximize the long holiday weekend. 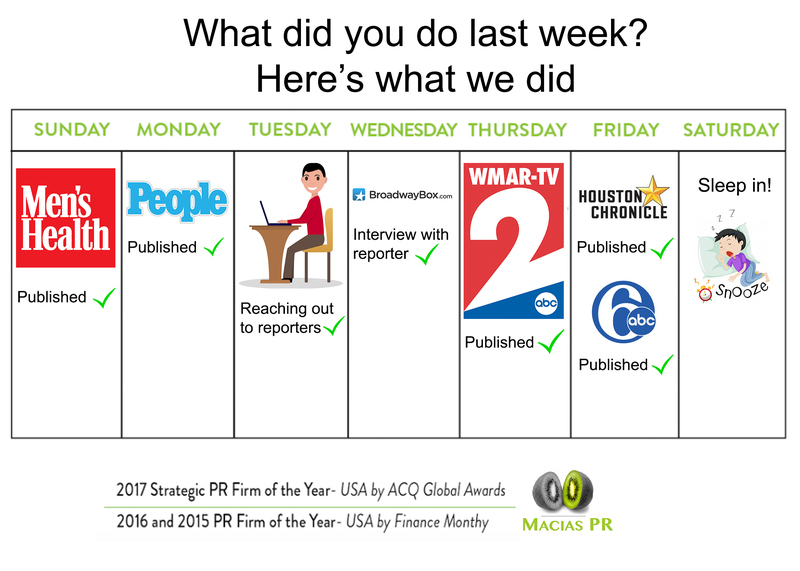 Despite that obstacle, MACIAS PR secured two TV segments for clients in Baltimore and Philadelphia. We also secured a story with the largest newspaper in Houston. And our clients are in two national magazines. You can see those placements in the above photo.